A thriving social media life can help your blog stay at the forefront and establish you as an influencer. 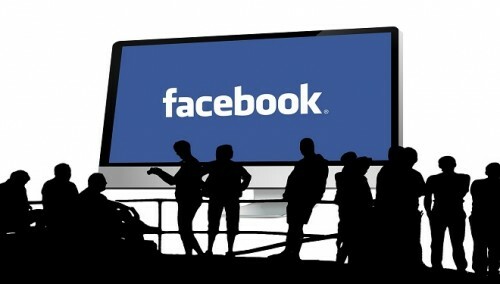 However, many social media pages languish under the weight of a busy schedule. They are updated infrequently and people know they can’t count on you for news for weeks on end. Fortunately, there are quite a few things you can do to increase your social media interaction and establish an audience on the major social media contenders. By using plugins and various tools, you can even accomplish this task without taking on hours of extra work each day. You may also just be starting out and not yet ready to hire a social media manager. One of the simplest things you can do is to automate your blog with a plugin. Each time you publish a new blog post, the plugin will post a corresponding link on your social media pages. Although there are many different plugins that you can use, or you can even use several, the one I liked the most is called 1-click Retweet/Share/Like by LinksAlpha. I pay only $8.99/month to connect with a huge variety of social media pages. I also can use the account for several of my blogs. Right now, I have the account connected to Facebook, Tumblr, Twitter, and LinkedIn. The rest requires nothing from me. I schedule my post, it is published, a notice goes up on my social media pages. Notice the image to the below. 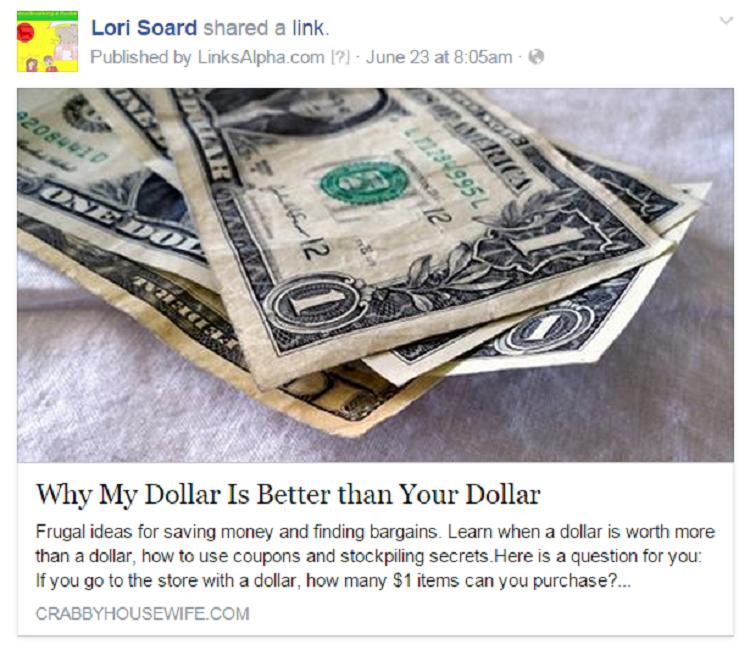 This is a post that was automatically placed on my Facebook author page from my Crabby Housewife blog. It includes the featured image, title and description. If a user clicks on the image or title, she will be taken to my post on the website. You probably noticed that there is a little note under my name that says “Published by LinksAlpha.com”. I didn’t want my readers to know that I was using an automated program. That seems so impersonal and goes against blogging 101. However, it is also a huge time saver for me. Why is it important to post your articles on social media? Users can’t discover them, share them, or interact with you unless the articles are shared on your page in the first place. I recently joined a group of like-minded bloggers. We support each other, engage with one another’s posts and stay pretty active throughout the week. It takes about 10 minutes of my day to click on links and post comments or share articles that are interesting. I noticed something pretty interesting about the articles I share with the group. The articles I am sharing with my group of fellow home and garden bloggers get more traffic than my other posts by a margin of 15 to 1. Why are groups of bloggers who promote one another so effective at garnering social media engagement? Let’s look at the example of garden bloggers to start. I recently wrote an article titled How to Start a Gardening Blog and was impressed with the number of different blogs out there on this particular topic. There are only 30-40 members at any time in the group I’m in, although you can certainly find a group in your niche with many more members. I wanted to start small, because I wanted to really get to know my fellow bloggers, help them promote their pieces and even have the time to read some of their work and become familiar with their writing styles. So, let’s say that a few of those members click on a link I share in the private Facebook group about growing tomatoes in containers. This is much more effective than if my cousin shares that same link for several reasons. A garden blogger has the exact target audience I am trying to reach. Her readers already trust her. They know if she shares something with them that it is worth reading. This particular group required a sort of application and links to samples of my work. The members are vetted. This means that the posts are very high quality. I’ve yet to read one that wasn’t extremely well written and on target for a gardening blog. She understands the basics of promotion. If she shares your link, she’ll tell her readers why they should click on it. 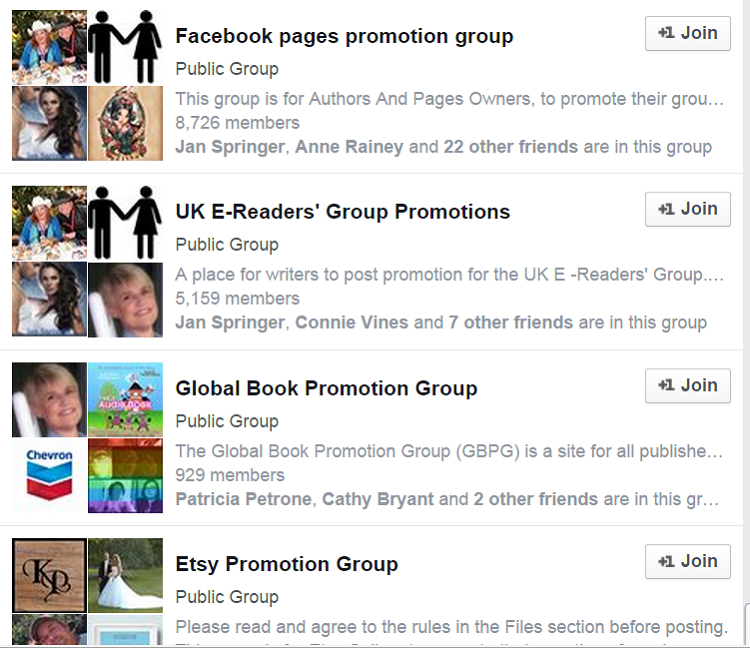 Right now, Facebook seems to have more promotional groups, although Twitter appears a close second or possibly LinkedIn. The way “groups” are set up on Twitter is more as a “list” and it is harder for members to easily communicate in private about their goals for the week. 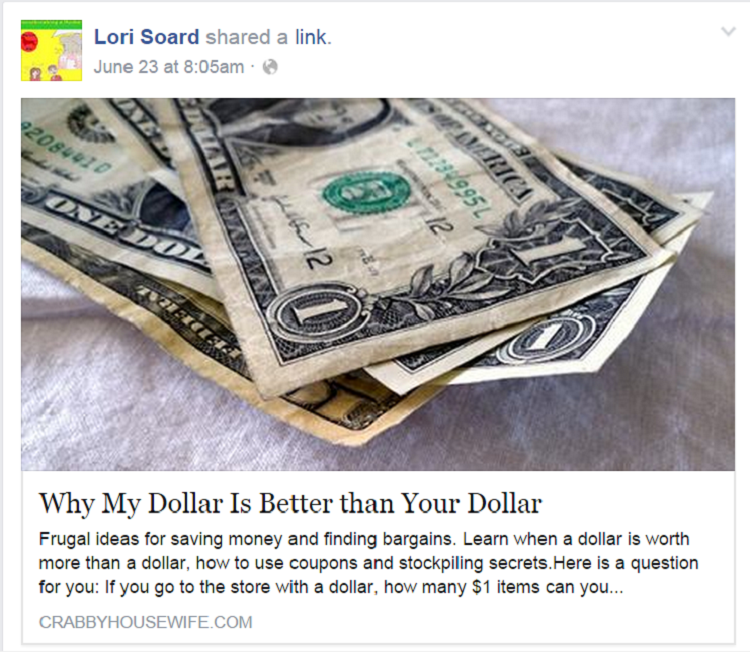 If you are just getting started with promotional groups, I recommend sticking with Facebook. if your clients are mainly business professionals, a private LinkedIn group might be a good thing to join but the search I did didn’t turn up nearly as many groups as what are on Facebook. Start your search by typing the term “promotion group” in your search box at the top of your Facebook home page. As you can see, this search pulled up a lot of different stuff. There are book promotion groups, one for Etsy and some general ones. This is a good place to start because you’ll likely find some large groups on this list that may appeal to you. Now we’re talking. If I had a recipe blog, there are several groups here that I would investigate a bit more. Next, you should click on any groups that look interesting. If you’re from Sydney, Australia, then the Sydney group is one you should definitely check out. Look at when the most recent posts were. How often are members posting? How many shares do those posts have? This will show you how active the group is. You don’t want to waste your time promoting 100 people who aren’t going to promote you back. Read the group description. This will often tell you if you’re allowed to post promotional items or not. Email the admins and ask for more information about joining the group. Be honest that you’re looking for a place to promote your blog and also to return the favor to other bloggers. Give the group a try for a few weeks and see what you think. Don’t like it? Leave quietly and find another group. There are so many out there. 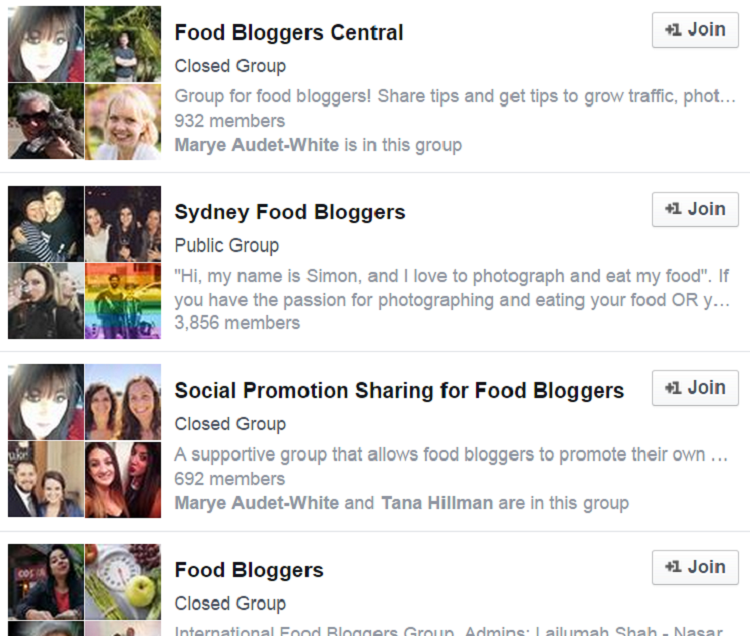 Keep in mind that joining promotional groups isn’t only about promoting your own blog. Get to know your fellow group members. Friend them on your personal account. Read their articles. Share what you think is amazingly smart. Offer to interview or let them guest blog for you. One of the best things about joining promotional groups is meeting new people and making new friends.